What I Blog About When I Blog About Books: 15th Day of Christmas: Zoya "Elisa" + China Glaze "Party Hearty"
15th Day of Christmas: Zoya "Elisa" + China Glaze "Party Hearty"
Today's nail of the day is another incredibly festive one. 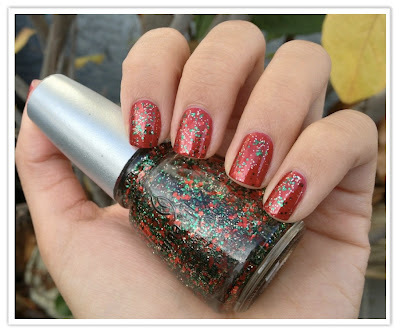 It uses one of my favorite glitters, China Glaze's "Party Hearty," over a red base, Zoya "Elisa." 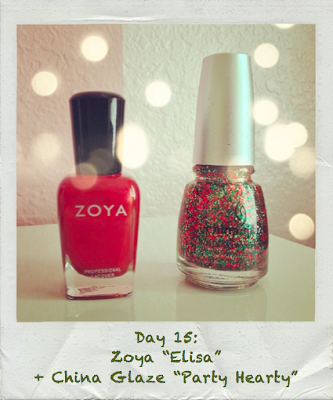 Zoya's "Elisa" is a basic shimmer-y red. 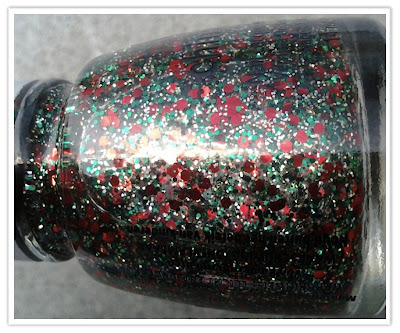 Though 1 coat is relatively opaque, I added a second just because I oppose visible nail line when the polish I'm using is not a natural/sheer color. Feel free to use any red polish if you want to replicate this look. China Glaze's "Party Hearty" is one of my favorite holiday glitters. 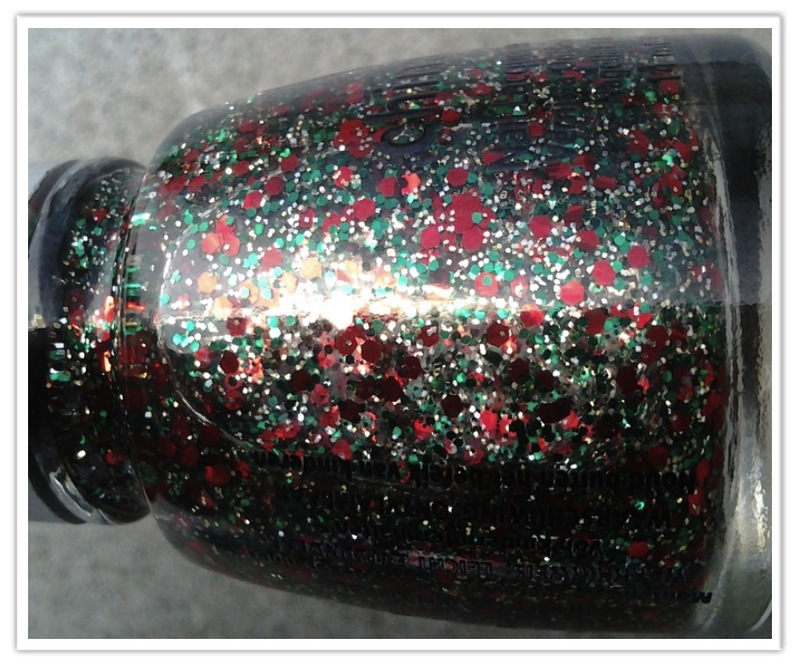 It's a chunky red, green, and gold glitter. 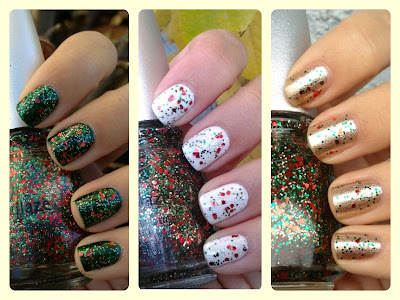 I have already done three previous manicures for my 25 Days of Christmas Manicure series as you can see below. "Party Hearty" is incredibly versatile. Layering "Party Hearty" over red is probably my least favorite combination of the bunch, but I still enjoy it for this time of year. The two complement each other very well. I hope you enjoyed today's Holiday manicure. Only 10 left! Does it stain when removing? 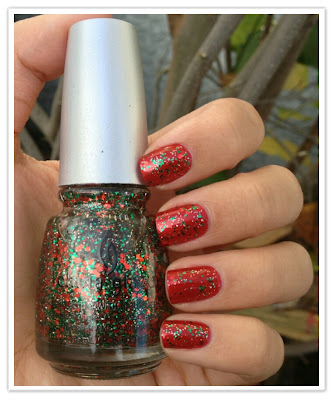 I think all reds do to a certain extent. It didn't in this case because I tried the glue method again.